Exclusive! Share loving sentiments for any special occasion or just because. 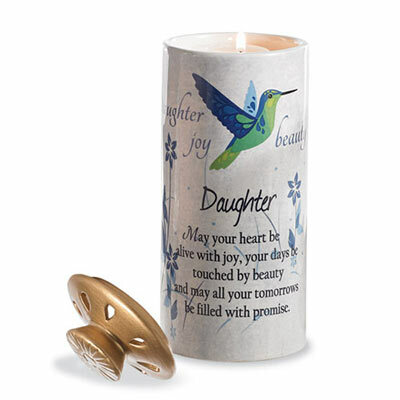 Our Heart Warmer Candles have a sweet message spelled out on a lovely ceramic holder that holds a tealight (not included). 3" dia; 6"h.